Europe has an immigration problem. Nothing new here. In short, people in Africa and Asia want to come to Europe and stay because things are better in Europe. They calculate the risks of the attempt to reach Europe versus the benefits and make a decision to go. The thing is – Europe has preciously little to offer these people. Most of them have no qualifications, do not know European languages and are ill-adjusted to European customs and society. No wonder Europe does not want these people. Besides, the benefits they will get from coming to Europe are much smaller than they think. There are no jobs waiting for them in Europe. Most chances are they will still live in poverty, just in a colder climate. And sadly, many of them will die while trying to reach Europe. I think the best solution to the crisis (which is, that many people die in the Med trying to cross) is to reduce the numbers of those attempting to cross. There are several ways to reach this. One option is to increase the risks of crossing – that is, to stop rescue operations. Sounds harsh, but this might actually greatly reduce the number of casualties as much fewer people will attempt to cross. To put numbers on it, say 1000 people attempt the journey and 10 of them drown (1% is about the current death rate on the Med). If you start a rescue program and reduce the drownings to 0.5%, but 10 000 people attempt to cross, then 50 will drown. You’ve just caused more deaths at sea – exactly what happens at the moment. On the other hand, if you cease all efforts of rescue, perhaps 5% will drown. But if given these odds only 100 will attempt to cross then just 5 will drown, so fewer people will have lost their lives as a result of NOT making an effort to rescue at all. A more dangerous crossing will also cost more so less people will be able to afford it. Another option is to reduce the potential benefits of crossing – that is, to send them out of Europe as soon as they enter (works fine in Australia). Of course, informing the potential migrants about the high risks and low benefits is absolutely crucial here. The long-term solution is to improve the situation in the “source” countries of migrants. This would be the best, but ultimately, the people of these countries are primarily responsible for their states, not Europe, and there is very little Europe can do to help them – Europe has got its hands full with its own problems already. A solution that is humane, profitable for both Europe and the “source” countries and politically absolutely unreachable is a common European migration policy. This will create a legal alternative for the illegal migration and potentially can address the good, the bad and the ugly sides of the European migration crisis. Europe needs qualified migrants – its a fact. Within the EU there are just not enough people with the right qualifications and more importantly, motivation to do the type of jobs available. Italy, for example, has thousands of vacancies for pizza bakers but Italians don’t want the job. Holland needs hundreds of IT specialists, which are just not available in the EU. Ideally, the EU could work out an agreement allowing a limited number of migrants to come to the EU to work for say 3 or 5 years – a sort of EU “green card”. The migrants can get work experience, learn the ins and outs of life in a democratic society, send money back home and return to help others improve their lives. Unfortunately, in recent past, migrants who were brought into Europe to fill job vacancies were unqualified and did not leave but rather brought their entire families. In times of economic downturn these migrants came to depend on the European social system, so there is quite a resentment among Europeans against such schemes. New migration policies can only be accepted if they include a strict condition that that work migrants leave after their period. The terms need to be strict for the policy to be acceptable to EU citizens – that is, no family reunion, no staying after the term under any circumstances (marriage, contract extension and such), and no job market distortion. To mutual benefit, part of the taxes collected from these legal migrants can be used by the EU to sponsor programs to improve the quality of life in their countries of origin. And since the migrants will know they will have to return to their home countries, they will invest there themselves and save money to prepare for a “soft landing” after their term of stay in Europe. Opening a legal option will fulfil the moral obligation of Europe to help people in need, like the Syrian refugees. Many of them are qualified, skilled and experienced people who would be much better off working in Europe than idling in camps in Jordan or Turkey. Offering the refugee communities an opportunity to send an “envoy” to Europe who would provide for his family residing in the region is making the best of a tough situation. Visa quotas can be a simple mechanism to address the bad sides of migration. Linking the amount of (temporary) job visas to the performance of the migrant groups will give the migrant communities a powerful incentive to invest in each other. Right now, for example, only about 20% of the Somalis in the Netherlands have a job. If that would mean next year the amount of visas for Somali’s is reduced by 4/5th, the Somali community would certainly do its utter best to help their compatriots to become a tax-payer instead of a tax-receiver. The benefits of legal temporary entry will also mean the communities will help the authorities control migration, as being a law-abiding community carries benefits in terms of more (and possibly longer) visa’s and perhaps an extra stimulus in terms of lower taxes. This makes economic sense – if the EU countries have to spend less money on controls and penalties of a well-behaved group of migrants, the group should profit directly from its collective good behaviour. Quotas for legal entry will give the EU a much-needed foreign policy tool. Numerous countries depend on cash sent home by migrant workers. With the quotas in hand, the EU will be able to say to dictators and human rights abusers like Robert Mugabe of Zimbabwe or Isaias Afwerki of Eritrea “do as we say or else we cut your cash flow by reducing visa’s”. Back in Europe, police forces are facing a very difficult task when attempting to investigate crime in migrant communities. Police officers do not speak the languages of all the communities and many migrants are reluctant to work with police, either because of bad experiences with police back home or because they are being loyal to the community. Using the quotas and visa extensions as a reward for cooperation with police on issues such as reporting illegal migrants or criminal activities will enable the police to do its work with and among the migrant communities. Finally, with a solid system of legal migration, Europe can be tough on the unwelcome, hostile people who mix with the migrant flows. Like the Muslim migrants who threw Christians overboard because they were not praying to Allah – these are certainly not the kind of people Europe wants to enter its borders. Drying the illegal migration routes by offering a legal alternative is in my opinion the best way to prevent such people from entering the EU. What are the odds of the EU agreeing on migration? I realize this scheme for an EU-wide migration policy is a utopian concept that will probably not happen in the near future. But of the various EU members, perhaps there is a small European country that will be prepared to give rational approach to migration a chance? Mayotte, Gibraltar, a Small French Village, the Seychelles – and now – also a Small European Country! I’ve been asked to write a guest post for the Expat Partner’s Survival Guide, telling about what its like to live in a small place, like a small European country. Here’s the result. Will Brexit become just Exit? If the British vote to leave the EU, instead of Brexit (British exit) it might boil down to just an Exit (English exit), with the other members of the United Kingdom deciding to stay in the EU after all, as independent states. This way, Europe will be one big country poorer but four small European countries richer. With the dust settling on Britain after the dramatic elections, the question on everyone’s lips is “what about Brexit”? That is, will there be a referendum about the United Kingdom leaving the EU, and what will be the outcome? To be honest, I don’t really care whether the UK will be a member of the EU or not. I don’t think most Europeans care much either. I do feel the British public is not fully aware of the impact of such a decision and I think their politicians and media are doing a poor job informing the public. Now that Nigel Farage, (former) head of UKIP, has left the political scene, it seems the referendum issue will lose some momentum. But it is unlikely that David Cameron will dare back off his promise to hold one. And if he will back off, there are plenty of people who will remind him of his promise. However, without Farage, who was the main force in the pro-Brexit camp, there is an opportunity for the British to engage in a meaningful discussion on the aftermath of leaving the EU. What is it really about? The Brits are concerned about immigrants taking their jobs and straining the social services. They say the EU is costing a lot and is providing little in return. What they forget is that without the EU they would have to take back millions of Britons who retired to Spain. How’s that for strain on healthcare? It’s not like it would not be possible to retire or get a job in EU, it just would be much more difficult. Jobs in the UK, too, would be at risk, as exports to EU will suffer. And London, that lives on its banking system, will perhaps not be cut off all together, but will be left out of much of European decision making, and banking across the channel will be pricier. I’m pretty sure people in Frankfurt and Zurich would be more than willing to fill the gap. Not that leaving the EU will stop the illegal immigration. The illegals are not EU citizens anyway, so they come regardless the UK membership. Leaving the EU is not going to address immigration from Commonwealth countries like Nigeria and Pakistan. I also don’t see how the UK will remove the millions of Germans, French, Poles and Romanians who live in the country for years or even decades. And who will do the plumbing? Are German doctors, French bankers and Dutch engineers also to leave? Sure, some immigrants are not model citizens. But leaving the EU because of them is a bit drastic, isn’t it? What about Scotland? Surely, if the Brexit referendum will decide for leaving the EU, Scotland will want to hold a new referendum about leaving the UK? Having narrowly lost the previous referendum, Scottish nationalists stand a good chance of winning the next one, especially if the choice is between the UK and the EU. Scottish independence might reignite the flames in Northern Ireland and maybe even Wales will decide to split. And so, instead of Brexit (British exit) it might boil down to just an Exit (English exit), with the other members of the United Kingdom deciding to stay in the EU after all, as independent states. This way, Europe will be one big country poorer and four small European countries richer. These are mere possible scenarios. I’m not claiming knowing the future or even that these are likely scenarios. I do think it is absolutely necessary for the British public, politics and media to be able to discuss the possible consequences of Brexit, without the rhetoric, in a polite, responsible fashion. If the BritishU do decide to leave the EU, its their legitimate choice. It would be a shame if they leave for the wrong reasons and under false assumptions. Whatever happens, Britain will remain a European country. They can vote whatever which way they want, but they can’t ship the whole bloody island to Australia. They can’t, right? OK, so the Netherlands is not Japan, the signs that tell you that you’ve been here for too long are not nearly as hilarious. I mean, you don’t find yourself nodding your head back to the newscaster at the beginning and end of a newscast after a few years in NL. But there are some curious, funny moments when you realize you’re turning more Dutch than the locals. You get annoyed by people calling the Netherlands Holland. On birthdays of the Royal family you raise the flag. These birthdays are marked along with birthdays of your friends and family on the birthday calendar hanging in your toilet. When you go on vacation (in your caravan), you bring a 10 kg bag of potatoes, a few kilo’s of cheese and two jars of Calvé peanut butter. 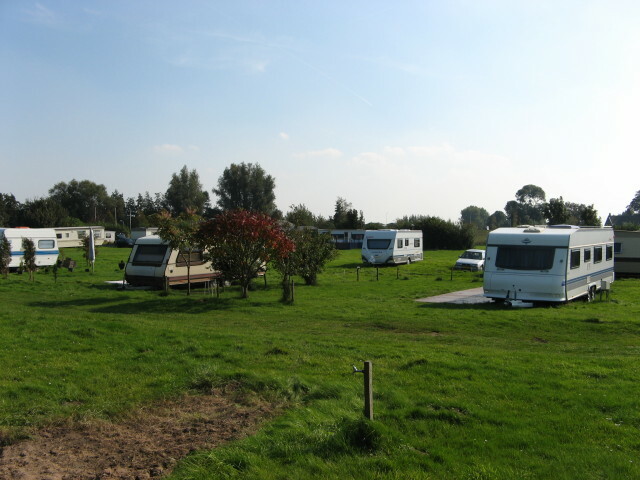 You’re looking forward to this year’s Camping and Caravan Fair. You can taste the difference between belegen and jong belegen cheese. Your kaasboer at the market knows your taste in cheese. When abroad, you get irritated when you don’t get a cookie with your coffee at a restaurant. To your horror you actually like beschuit met muisjes. When cycling, you can multitask – read a book, roll a cigarette or even make out with your girlfriend cycling next to you. You and your wife own 5 bicycles between the two of you (plus two for each child). You measure distances in minutes of cycling. You think a pancake is a perfectly normal dinner dish. You recognize which province someone is from by their accent. People can recognize which province you’re from by your accent. You know what VVE, BZN and GVD stand for. Rivers flowing above the surrounding landscape don’t freak you out anymore. You can’t remember when was the last time you smoked weed. You can have a conversation on any topic using only quotes of Johan Cruyff. You own a t-shirt that says “Hup Holland Hup!” (despite point number 1). There may be more than 21 signs you’ve been in the Netherlands for too long. If you have some of your own signs you’ve been in NL (or anywhere else!) for too long, I’d love to hear. Like you must have noticed we are losing control of our beautiful ancient land. Non-European Immigrants that come here and do not even act like guests but just act like total scumbags and there kids who hang on the streets making un-needed harassing comments to white kids for no reason. Our culture that we have been building for hundreds of years is being replaced by a capitalistic Coca Cola culture. Our possible political saviors are many times terrible un-intelligent dummy-heads, and our so called “Politically to the right groups” are many times also just dummy-heads, like the one they have in the Netherlands, Geert Wilders. If we do not make a stand soon and wake up the people soon we will fall even deeper into a the hole of total destruction until there is completely no way back. My neighbourhood has been invaded. I’m not sure where they come from, Africa, Asia, South America, they’re not European – that I am certain of. And they are taking over. It seems there’s more of them here every day. Most of these immigrants are illegally here, many have been smuggled in and once their “owners” get tired of them, they just throw them out to the street. I don’t blame the newcomers, but I do think they might go a bit easy on reproducing themselves in such numbers – every park is simply teeming with them. The parks are also the place where most of them live, the small green field in front of my building being no exception. From morning to night they scream, fight and chase each other up and down the block. The colourful coats they wear make them easy to spot between the grey and brown locals. Speaking of locals – these foreigners steal their food, sometimes literally out of their mouth! It’s not that I don’t like them, they are cute in their own way. But they clearly don’t belong here, in Northern Europe. Just look at the picture below and imagine hundreds of them swinging on tree branches in a local park – its a hell of a sight!